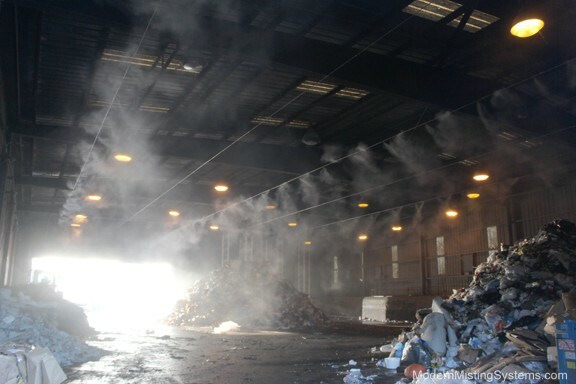 Dust suppression is a cost effective way to reduce dust levels in open plant and recycling areas by 50%. A high pressure fog curtain has negatively charged water droplets which catch and suppress dust. The electrostatic forces between the water droplets and the dust may also remove much finer dust particles which can travel further in the atmosphere. It also traps dust particles without over wetting materials on the ground. Our system is safer than bag houses and does the same job at a tenth of the cost. With this system there is no fire hazard. It is more effective than cyclone dust suppression systems and can be used in high humidity situations.